I believe if you search ‘tube weaning’ in Google, Graz comes up immediately. Unfortunately, I had never heard of this term before I discovered the ‘tubefedkids’ site and therefore didn’t think to search for it. Out of interest I just typed in ‘NG tube’ again into Google and again, no mention of Graz or the tubefedkids site. I then typed in ‘get rid of NG tube’ and again, no mention of Graz. I think the challenge is that most parents with NG tubes don’t know the terminology to search for. Certainly, no medical person had mentioned to us that Sarah had any chance of getting rid of the tube. The only thing that had been mentioned was by the Gastroenterologist and he said we should be looking at a PEG because she’d had the tube for over 6 months. Thus, it wasn’t in my mind that we could get rid of it and if I had been brave enough to think we could get rid of it, I wouldn’t have known to search for ‘tube weaning’ because I’d never heard that term before. 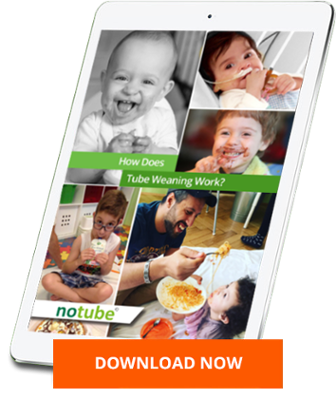 It was only when I accidentally stumbled across the ‘tubefedkids’ site that I learnt about tube weaning and it was only through talking to Mums on that site that I became brave enough to imagine that we could wean Sarah when we did. I hope this feedback helps your team in promoting the Graz program because I think it is the most marvelous program in the world and it was the best money we have ever invested in our child’s health. I truly believe weaning Sarah so young has changed her life for the better and has improved the quality of life she is living now and will live in the future. Basically I think it will prove to be one of the most life-shaping events of her life.